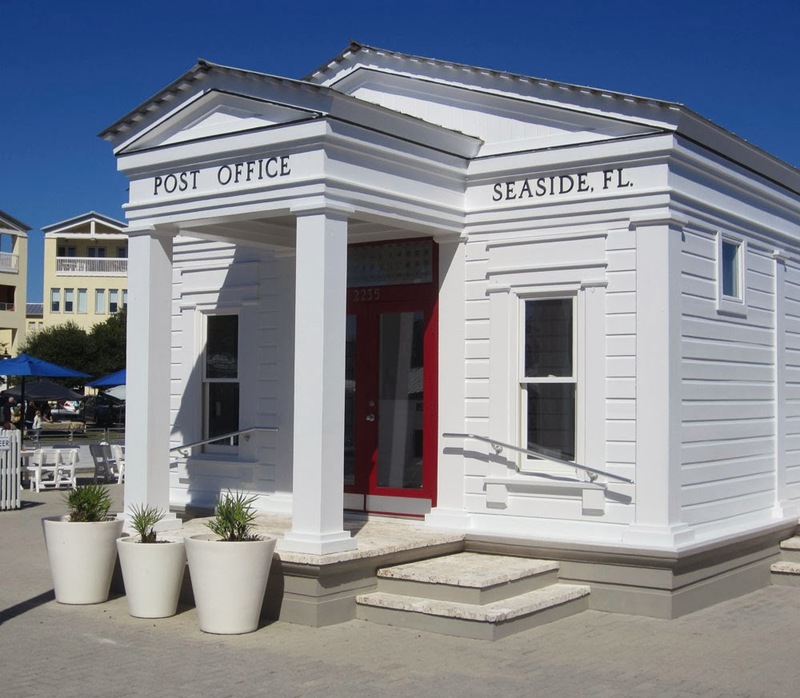 We had an opportunity last month to visit Seaside, FL, a beautiful town in the panhandle of Florida. I wanted to see the town because it had been featured in an exhibit at the Carnegie International this year, near my home. This particular exhibit showed photographs of "social experiments", or ways that people tried to establish alternative lives to how "normal" people lived.. 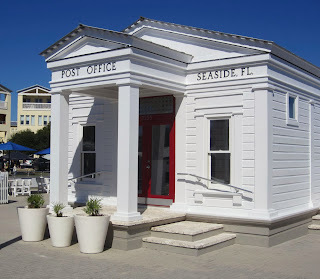 The Seaside photo featured the post office above, so I had to get a photo of it to share. The town was the dream of one man that was realized years later by his grandson. To learn more about this beautiful spot, visit here.